At least, it's prime time here in the US. The HSBC Women’s World Championship in Singapore is the tour's latest stop on the Asian Swing. And it's a limited-field event with only 63 players. But wow, are those 63 players good! Tony Jesselli has done his usual tournament summary, so I'll link you to that post here. I'll focus on what I see as the major storylines this week. 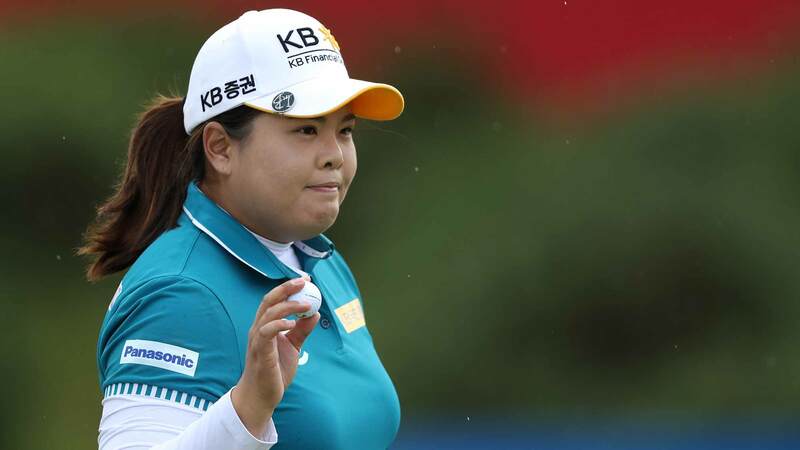 The one that will get the most attention is Inbee Park's return to action. Inbee hasn't played since last year's RICOH Women’s British Open because of a number of injuries she was struggling with, and -- if I remember correctly -- doctors told her she just needed to rest. The good news here is that she's pain-free. Although she's played a bit in South Korea, she still expects to be a bit rusty... but you never count Inbee out. She IS the defending champion, after all. You can get a fuller update on her at this link. And then there's another group about a point back. I don't know exactly how many points are up for grabs this week, but I think it's safe to say that Lexi could take over the lead with a win. The Top3 are grouped together, so we should get to see them play either Thursday or Friday. Actually, that would be either tonight (Wednesday) or Thursday, since GC's live coverage starts tonight at 10:30pm ET. And this week, it won't have to compete with the Olympics. It's official, and here's USGA Executive Director and CEO Mike Davis on Golf Central to explain how and why the USGA changed its mind about Monday playoffs at their events. So starting this year, the USGA will use a two-hole aggregate playoff to break ties at the end of all four USGA championships and, if that's not enough, they'll go to sudden death till they get a winner. It'll be interesting to see how the format goes over with the various "voices" around the golf world. But it's worth noting that this brings the USGA in line with the other three majors. Around the wider world of golf: Jessica Korda set all kinds of scoring records as she won the Honda LPGA Thailand; Eddie Pepperell won his first ever European tour victory at the Commercial Bank Qatar Masters; and Celine Boutier won the Australian Ladies Classic Bonville on the LET. Alright, I know Tiger Woods was the top story at the Honda Classic this past week. I know Tiger showed signs of improvement far beyond what any of us really expected so soon into his return. And I know that everyone's on pins and needles waiting to hear when Tiger will tee it up next. But Tiger didn't win the tournament this week. Let's talk about the guys who really made it exciting coming down the stretch. Early on, it was Alex Noren who got the buzz going. When he posted at seven-under, we all started getting ready for a playoff. Both Webb Simpson and Tommy Fleetwood made runs of their own, but the back nine at PGA National took its toll on them. In the end it was the final pairing of Luke List and Justin Thomas, tied for the lead when the day began, who made the game interesting. List struggled early on, with bogeys on holes three and four, but he made up for it on the back nine with three birdies to match Thomas's two birdies. Both men birdied the 18th, ending Noren's hopes for a playoff and setting up a battle of nerves as they came down the 18th once again. As it turned out, List flinched first. He left himself a tricky up-and-down for birdie while Thomas blistered two nearly perfect shots to the green. A relatively simple two-putt birdie gave him the victory. 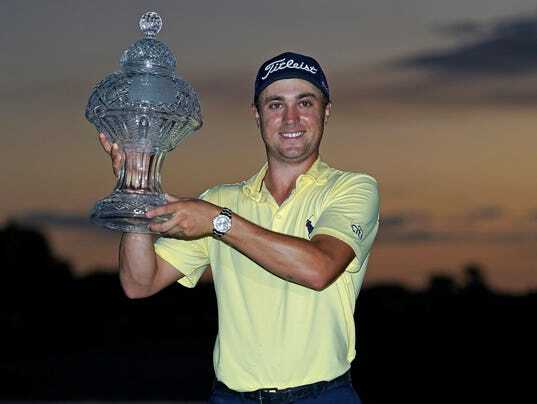 With this win Justin Thomas joined Patton Kizzire as the PGA Tour's only two-time winners this season. It also gave Thomas another win on a legendary course — something which he himself said on Saturday that he felt he lacked. You don't need to worry about that anymore, Justin. Not only did you get a "brand name" win, you got a "brand name" Limerick Summary to go with it! And the Bear Trap tore most scores to bits! In the playoff with two well-placed hits. Today I'm posting a link to golftipsmag.com about a new version of Knuth Golf's High Heat Driver. I'm sure it's been covered by somebody somewhere, but this article is only a couple of days old. 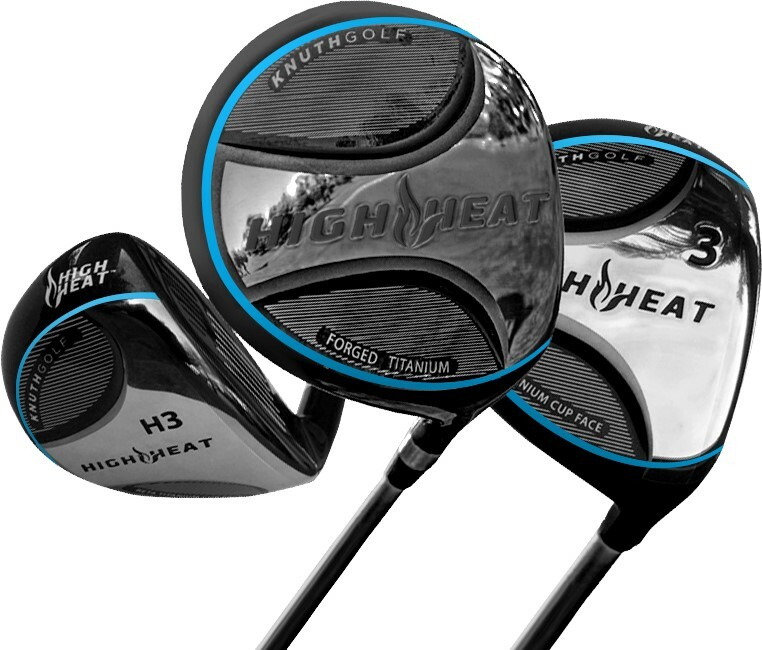 This new version of the High Heat Driver has been redesigned so the "sweet spot" covers virtually the entire face. Knuth managed this by taking advantage of some new USGA changes to the "CT" Rule -- for us normal folks, that's the rule that regulates the trampoline effect. The short version is that the new design produces a 1.41 smash factor all over the face, which translates to around an extra 20 yards. The article goes into considerable detail if you're interested . There will also be fairway woods and hybrids, and they're all supposed to be available in April. The driver will apparently cost around $500, the fairway woods $450 and the hybrids $260-ish..
Randall Mell's post at golfchannel.com is about Tiger's play at the Honda, as seen by Brandt Snedeker. Sneds played with Tiger at Torrey Pines as well as at PGA National, so he's got some realistic perspective on Tiger's improvement so far this season. Personally, I'll just note that Tiger's driving was better at Genesis last week than it was at Farmers, even though he didn't make the cut. And I think the fact that he doesn't have to hit driver on every hole at the Honda certainly helps him in PGA National's tough conditions. But I really like Tiger's attitude right now. He's still looking at this return as a project that's going to take time. That may end up being the ultimate key to his success. And if he keeps this incremental progress going, he may actually be a threat at Augusta this year. Wouldn't that be cool? This old video lesson from Bobby Jones has a surprise in it, one that I've not heard anybody mention before. Can you tell what it is? The video is full of all kinds of advice on playing short irons. (Depending on who you ask, the mashie-niblick is closest to what we call a 7-iron or even an 8-iron these days.) And you can learn a lot just by watching his rhythm. But if you pay attention to his swings, especially near the end of the video where he is shown from several angles (in front, behind, above), you'll see that Bobby Jones chicken-winged his left arm just like Jordan Spieth. Surprised? I guess there really isn't anything new under the sun. GCA coach Craig Renshaw showed this little drill to help you improve your uphill and downhill putting... but I'm going to alter it and create a greens-reading drill. Craig's drill is simple: Just place tees at various distances on a slope and putt from either end, trying to get your distance correct. This is a great drill that you can use anywhere on the practice green; you don't even need a hole. NOW let's turn it into a greens-reading drill! Here's what I want you to do: Find a slope on the green, just as Craig suggests. But I want you to place the tees ACROSS the slope, not up and down along it! If you do this, you can practice several putting distances with the same amount of sideslope. This will help you learn how distance affects the force you need to hit the ball to different holes on the same slope. Might make an interesting competitive drill during a boring practice session as well. The LPGA takes a short hop and a skip over to Thailand for the third event of the season, the Honda LPGA Thailand, a limited field event that nevertheless always manages to generate an exciting competition. 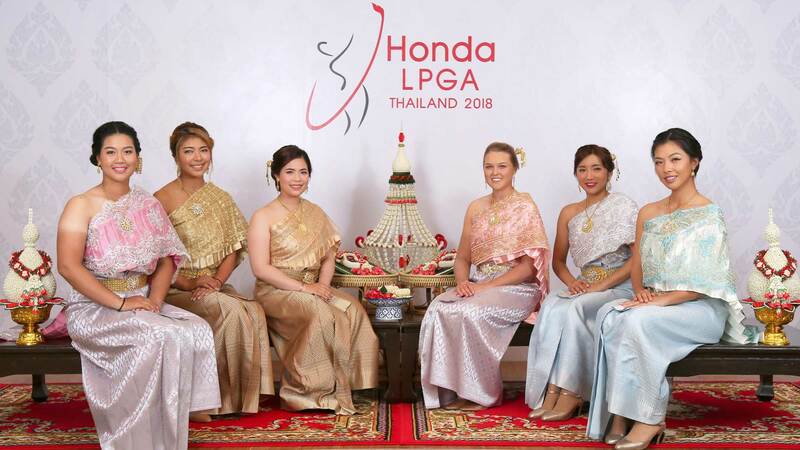 We do, of course, get the "local color" for which the LPGA is developing a reputation -- like the photo op with the Jakapat Thai national costumes shown in the photo above. Showcasing the outfits are (I think I got them in the right order) Supamas Sangchan, Alison Lee, Moriya Jutanugarn, Brooke Henderson, Bo Mee Lee and Muni He. Along with defending champion Amy Yang, who also won this event in 2015, and 2018's first two winners.Brittany Lincicome and Jin Young Ko, there are also six players from Thailand in the field (Ariya Jutanugarn, Moriya Jutanugarn, Saranporn Langkulgasettrin, Benyapa Niphatsophon, Pornanong Phatlum, and Supamas Sangchan). You can get other details from Tony Jesselli's preview over at his blog, as well as the two LPGA posts here and here about the event. Golf Digest instructor Adam Kolloff recently wrote a short article called Get The Most Out Of Your Hybrid. It focuses on hitting hybrids from the rough. Kolloff has four tips to improve your hybrid play from the rough. Keep a firm grip so the face doesn't twist open or closed. Don't sway off the ball. Try to stay very steady over the shot so you can hit down sharply on it. Be sure to accelerate through the rough. That tip about playing the ball in the center of your stance is important. Kolloff says that too many players try to play the ball forward like a fairway wood, but I imagine just as many set up with the ball too far back in their stance like a wedge. Hybrids have straighter faces than wedges, so playing the ball too far back can drive it deeper into the rough rather than popping it out of the grass. These are simple things, I know. But it's usually the simple things that trip us up. Around the wider world of golf: Jin Young Ko won wire-to-wire in her first official start as an LPGA member -- only the second woman ever to do so -- at the ISPS Handa Women’s Australian Open; Joost Luiten won the inaugural NBO Oman Open on the ET; and Joe Durant won the Chubb Classic on the Champions Tour. It appears that Bubba Watson is back on the golf map. And contrary to rumors of his impending retirement, he intends to stay there. At least for a couple more years. After a solid year of health problems, equipment changes and who knows what else, Bubba is back to his old self. That means, of course, that he's making news for more than his golf, such as playing in the NBA Celebrity Basketball Tournament in the middle of the Genesis Open. And I mean no disrespect when I say that. Bubba is one of those folks who thrives on variety, on trying different things and not taking himself too seriously. The Bubba Watson who was "playing" all over Hollywood this past week was also playing some of his best golf -- golf we've all been waiting to see again. He picked a great place to do it, as well. 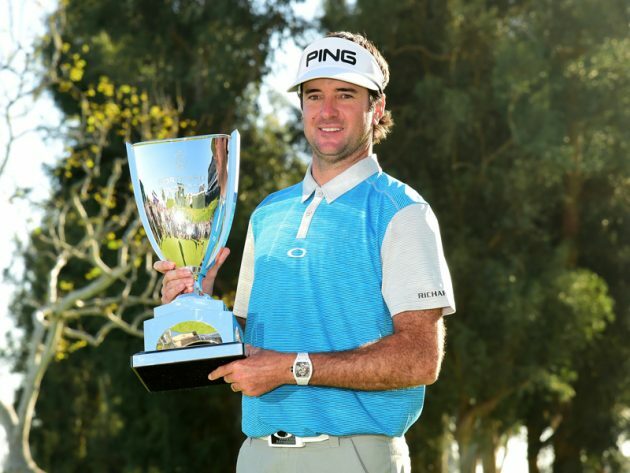 After successfully holding off the likes of Patrick Cantlay, Kevin Na, Phil Mickelson, Tony Finau and Scott Stallings with a bogey-free three-under on the back nine, Bubba joined Ben Hogan and Lloyd Mangrum as the only three-time winners at Riviera. That's pretty good company he's keeping! Down the stretch left them all thunderstruck. The photo came from the golf-monthly.co.uk website. This is really short, but it's hilarious. In case you missed it, all those birdies Justin Thomas has been making took revenge against him and Amanda Balionis during a post-round interview Saturday. Yeah, I know. Sometimes the smallest things entertain me. At least it's better than playing with a rubber band. Since Graeme is tied for the lead at the Genesis Open, I thought it a good time to post a tip from him. This is a Golf Monthly video on how he plays 100-yard pitch shots. The biggest thing I want you to take away from this tip is that Graeme likes to have AT LEAST TWO WAYS to play each of his yardages under 150 yards. One of those is a full throttle shot that spins like the devil but isn't necessarily his most accurate, the other a shoulder-height shot that he can control well. (Shoulder height is an easy length for most players to feel.) The hard shot is played with the higher-lofted wedge, the partial shot with a lower-lofted wedge. He's certainly getting good use out of his wedges at Riviera, where it's really tough to get close to the pin positions. Be sure to watch and see if you can pick out which holes he uses partial shots on and which get the full-bore wedge. PGA instructor Zach Allen did a really nice video explaining exactly what a flier lie is and how to play it. It's short and to the point, which is what you need when facing a trouble shot like this. First, Zach says a flier lie generally sits in light rough and the grass is growing toward the target. Very important, that -- if the grass was growing against you, it would help hold the ball in place when you hit it, not send it squirting forward. Instead, the grass gets between the ball and clubface, and that makes it come out lower and hotter. But it's hard to know just how much. We just have to guess. So here's what Zach says to do: Take one less club than you normally would and make a smooth swing. What he means is that you don't try to swing out of your shoes, as the ball is going to come out quicker and with less spin anyway. Then you just have to hope for the best, since fliers are unpredictable. All-in-all, a very helpful video for handling a difficult shot. This video is four years old. That's when DJ went an entire calendar year without a PGA Tour title (2014) and started working on his wedge game in earnest. It's interesting to hear what he was focusing on during his practice sessions. Incredibly simple, don't you think? Although we know he started working with a Trackman in order to learn how far he hit his wedges, the actual mechanics he worked on were just getting his takeaway on line and making sure he didn't stop his upper body from moving after he hit the ball. I hope all of you are beginning to notice how many pros are starting to emphasize what we often call the "belly button to target" move. If they do it, they don't flip their wrists at impact. For the pros, that means they don't hit duck hooks or double crosses. For most of you reading this, it will help you hit the ball more solidly and consistently. That will improve both your distance and your accuracy. That's reason enough to take this tip seriously. Billy Hurley III and Jordan Spieth are both running for Chairman of the Players Advisory Board, and Billy did this awesome campaign video absolutely trashing Jordan. (And yes, Jordan okayed it before Billy tweeted it.) This is the Golf Central clip, which includes Jordan's reaction to it. Fun stuff! A couple of days back I posted a Martin Hall video on wrist action that I said should end a bit differently. I think Martin does some of the best presentations on general wrist action that I've ever seen but what this video shows after impact could hurt your ability to both release the club and get distance. Well, Phil -- who regularly comments on various posts -- linked me to a couple of videos from LPGA teaching pro Cathy Schmidt that addressed these exact issues. Since many of you may not have checked the comments, I thought I'd post them today. Neither is very long. One of my comments was that the wrist problem Martin was trying to stop could be better handled with the old 'belly button to the target' drill. Cathy's first video here shows exactly how that works. This second one addresses how holding that wrist angle too long will cut your distance. And in both videos you'll see that she is letting her trailing wrist release after impact; she's not trying to hold the angle. It's not going to go away, despite the rule change. Two Golfweek articles make that very clear. "In my opinion that’s enough of a reference to be able to control the fulcrum point." Look, folks. There's no silver bullet when it comes to putting. What works for one player won't work for another... and even though it works this week, it may not work next week. That's just part of being human rather than a machine. The unanchored long putter isn't a silver bullet. It still takes work to get good with it, just like any other technique. And maybe, just maybe, the difference in effectiveness between Langer and McCarron and the rest of the Tour has more to do with practice than anything else. The fact that Adam Scott couldn't make it work -- despite years of using an anchored long putter -- seems to back that up. But as I said before, it's clear that this issue isn't going away anytime soon. If you were watching the European Tour coverage on GC Wednesday night (well, it was night here in the US) you might not have realized that this week's tournament is one of the ET's new experimental formats. It was pretty successful last year, so I thought I'd make sure everyone is up-to-speed on how it works. The ISPS HANDA World Super 6 Perth looks like a normal stroke play tournament for the first three rounds because it IS a normal stroke play tournament for the first three rounds. There's a "65-man and ties" cut after the second round, not unlike a normal tourney. But after the third round there's a 24-man cut. That's when the Super 6 really starts to shine. There are multiple 6-hole matches on the final day, which is known as the Knockout Round. The Top8 players receive "byes" into the second round of these matches, and the other 16 players play matches to reduce their number to 8. If there is no winner after a 6-hole match, they go to a specially-built 90-meter playoff hole called the Shootout Hole. (This special hole is a new wrinkle in this year's event.) The match continues on this hole until a winner is determined. The 8 players from this first round of knockouts are matched against the Top8, then the 8 winners of those matches playoff down to 4, those 4 down to 2, and the final pair plays off for the title. All-in-all, there are five playoff rounds on the last day. The new format turned out to be much more popular last year than many of the critics expected. The last day is fast-paced and high-pressure because 6 holes simply doesn't leave time for long-term strategy -- if you fall behind, that's just too bad. Brett Rumford won the inaugural event last year and, as I'm preparing for bed, he's got the lead after his first round, Lee Westwood is alone in second and there's a small T3 group. Although the final round is when the real fun begins, these first rounds are important because they not only put players into position to make the final day, those first-round byes to the Top8 in the tourney are valuable. So if you didn't check out any of the first round Wednesday night, you might want to check it out tonight. I know I will. This is the Home School video for this past week's School of Golf show. Martin demonstrates how to practice your impact position without using a club or going outside. I'm also going to refer you to another post I did called The Wall Slap Drill. It's a similar drill except (1) it uses a wall instead of a chair and (2) it uses two hands instead of one. For that reason, I think it provides an action that's closer to your normal swing, and it will adapt very well to Martin's chair drill. But this is also a good drill to do. Especially if you think of your swing as pulling the club through impact with your lead hand rather than slapping the ball with your trailing hand. Now that the PGA Merchandise Show is over, Golf Digest has posted their annual Hot List of new drivers. The biggest takeaway I got from the review video (which is on every individual driver's spec page) is that you probably need to be fitted using a launch monitor because the new drivers are so varied. Here's an extra tidbit: Mike Stachura says in the video that, if your driver is a few years old, it's probably six yards shorter than the new drivers when you hit it ON THE SWEET SPOT, and perhaps eleven yards less on an off-center hit. And in case you wonder why I chose to show you the PXG 0811X driver -- especially when it only got a silver rating and not a gold rating -- the reason is simple: At $850US, if you're like me, this is probably the closest to it that you're going to get. But it's pretty, don't you think? This short clip is from Cristie's driver special on Golf Channel Academy that aired Tuesday night. The way she sets up is so simple that I wanted to post it here. To start, with both feet together, she positions herself so the ball would be right in center of her stance. Just draw a straight line from between her feet and the ball is THERE. Since she's righthanded, she turns her left (lead) foot slightly toward the target. Note that she doesn't step toward the target with her lead foot, she just pivots it on her heel. She steps back with her right (trailing) foot and stands so her weight is pretty even on each foot. And that's it, folks. This position puts her upper body just slightly behind the ball, which will let her hit up on it, just like you're supposed to do with your driver. And because her right hand is lower on the club than her left, she automatically tilts her spine slightly behind the ball. It really doesn't get much simpler than that. And Cristie's success with her driver proves it works. It's a good way to develop a consistent stance and ball position with the driver, and it doesn't take a lot of fidgeting to get it right.